Quality Swimming – A Gift for Life and Fitness! A Gift for Life and Fitness! 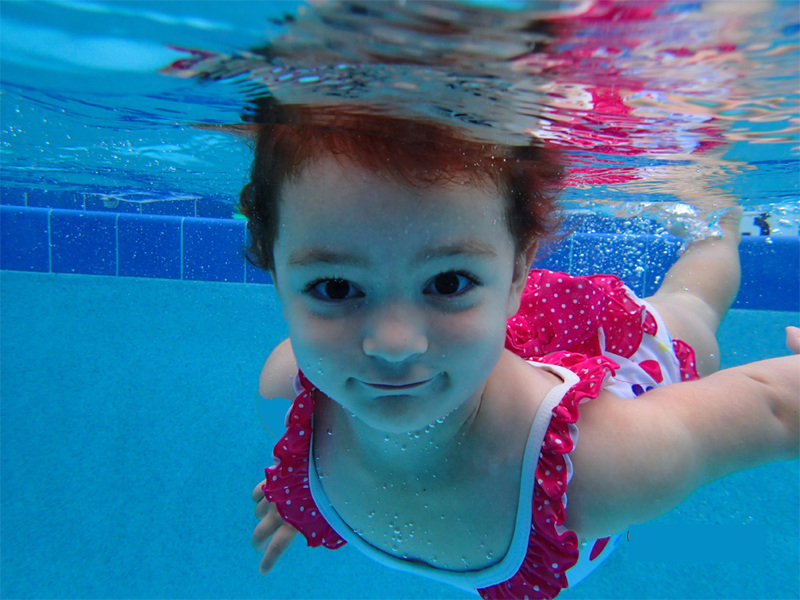 Our mission is to teach water safety and instill in all students a love for the water. 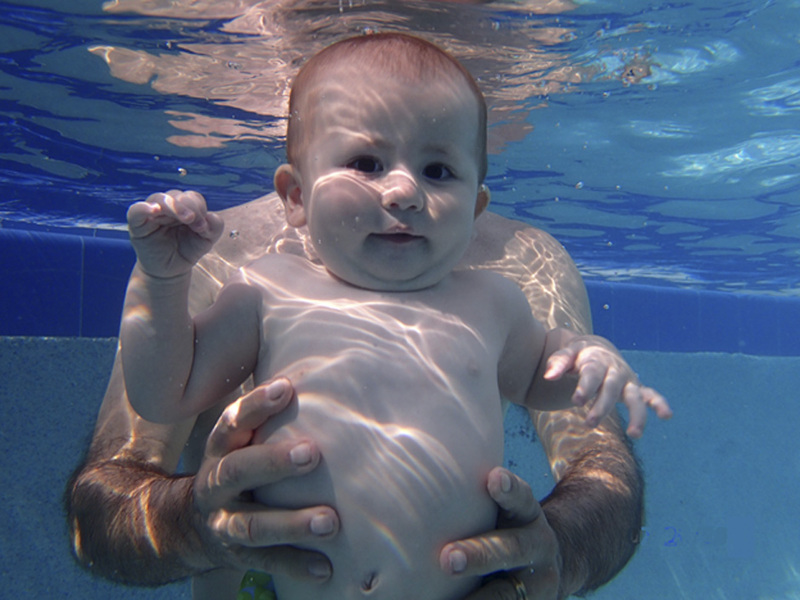 Our Baby & Me swim classes are recommended for students ages 6 months to 36 months. Recommended for students ages 2 ½ to 4 years old. Waterbug classes are for the child who is ready to enter a group without a parent or caregiver present. Small class sizes; 3:1 ratio. Recommended for students ages 3 ½ and up. We have 7 levels for each child to progress through from beginner to pre-team. Small class sizes; 4:1 ratio. 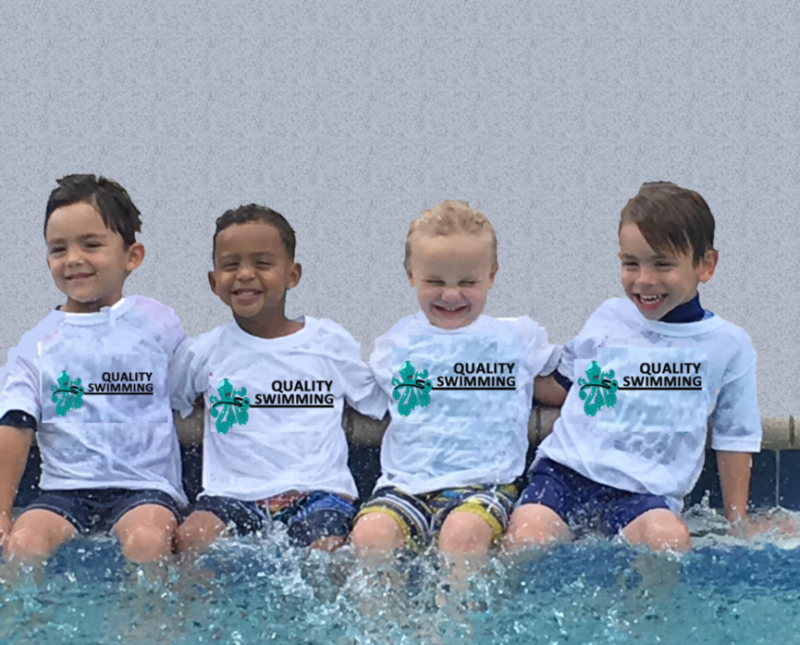 Quality Swimming is a year-round Aquatics Education Center and is one of the finest swim schools in South Florida since 1986, serving Broward and Palm Beach counties including Boca Raton, Coconut Creek, Parkland, Wellington and surrounding communities. Our curriculum includes 16 levels of progression, including Baby & Me, Toddlers, School Age, and Adult classes. Our students have grown with us starting as infants and continue on to our pre-team groups. View our Event Calendar and Register for our next event! Our experience with Quality Swimming has been completely fantastic. My 3 year old daughter had lessons prior to our finding Quality Swimming that left her terrified and I was told swimming was not for her. Within 4 lessons of starting with Miss Tracie at Quality Swimming my daughter was asking me to go to swimming lessons every day. She was swimming underwater and jumping in the pool and swimming back to the wall in less than 1 month. Everyone on staff was so patient with her during those first few lessons when she was terrified and screaming. I am so grateful for the patience and understanding they have shown and would recommend them to anyone! We're so impressed with the teaching of Quality Swimming. Our son is learning more than we could've imagined and he is having fun while doing it!" My husband and I are both doctors and believe this is one of the most important gifts you can give your children: Learning how to swim! It is truly life-saving. The team of instructors are more than teachers. My son cried for two weeks straight when we started, yet his teacher just kept on teaching with calm and patience. From day one, the focus is on survival in the water. Children are not only taught basic swimming but safety precautions such calling 911 and what to do in other emergencies. Both of my children have learned how to swim at Quality Swimming. That may not sound so remarkable, until you learn that my younger child was just over a year old when he was able to make his way back to the wall for safety. He started swimming lessons when he was around seven months old, and by the time he reached his first birthday he was showing us tremendous ability in the water. It was also important to us that he learn the basics of water safety, especially since we live in South Florida where bodies of water and backyard pools are as common as playgrounds. It is a relief to know that even at his young age he understands what to do if he falls in the pool, and he’s working on rolling over for breath. Recently we went on a family vacation where we spent a lot of time in the resort’s pool. Our toddler was the main attraction for the other families all around us. Many people wanted to know how we taught him to swim at such an early age, and we were proud to share our experience of working with a swim school that made him feel comfortable, happy and confident. Our older son is also a strong, confident swimmer who understands how to keep himself safe. We thank Quality Swimming for teaching him not only how to swim, but nurturing his love for the water. We are a two-generation Quality Swimming family. Our relationship with Quality Swimming started in the mid 1980’s with our older two children, Jennifer and Michael. Quality Swimming helped them learn how to swim, and enhance and perfect their strokes. This tutelage lead to Jennifer becoming a Senior National qualifier in the backstroke. Twenty-five years later Michael is an avid swimmer and surfer and you can find him in the Atlantic waters off Ocean Ridge almost every afternoon. Our youngest son, Christian, loves swimming too. . Christian enjoys the warm caring atmosphere at Quality Swimming. We are now looking forward to our granddaughter, Abigail, working at Quality Swimming this year. In our opinion, Quality Swimming has the best swim program around. It is with great pleasure that we are writing this thank you letter. Our sons Anthony (4 years old) and Vincent (2 years old) have been attending your swimming school for the past six months Your program is the best!! I came to Quality Swimming after another local swimming school had completely ruined my child’s desire to swim. They had thrown him in the water, kicking and screaming, with little instructor interaction and no swimming knowledge. He was, as you can imagine, terrified. 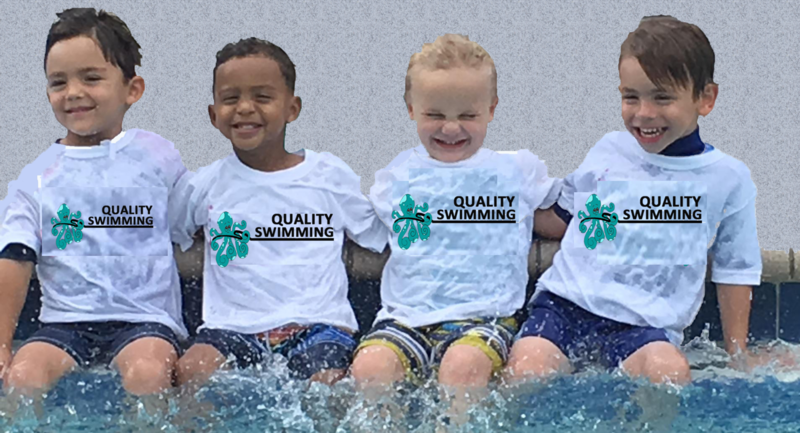 Quality Swimming has a gentle and nurturing approach that changed everything for my son. He was able to work with caring instructors at every level, feeling accomplished and celebrated as he achieved milestones in the program. He learned to swim, of course, but also has understanding of emergency techniques and water safety. Quality Swimming taught him how to safely enjoy the water, and he’s blossomed into a successful and confident swimmer. His little brother joined Quality Swimming at 18 months, and it has been wonderful for him physically, socially, and developmentally. He has bonded incredibly with his excellent instructor, and is confident in the water at age 2. Both boys look forward to swimming lessons with enthusiasm, and I’m secure in the knowledge that I’ve found the best, most nurturing, most effective program around. Thank you, Quality Swimming! Sign up to receive timely, useful information.